SS. In relation to our next project (see https://socialskillsarchive.wordpress.com/2013/01/13/autoconstruct/) we talked about the places we grew up in, the landscape of our childhood and how those may have affected us and our work. The monuments of our respective childhood, so to speak. 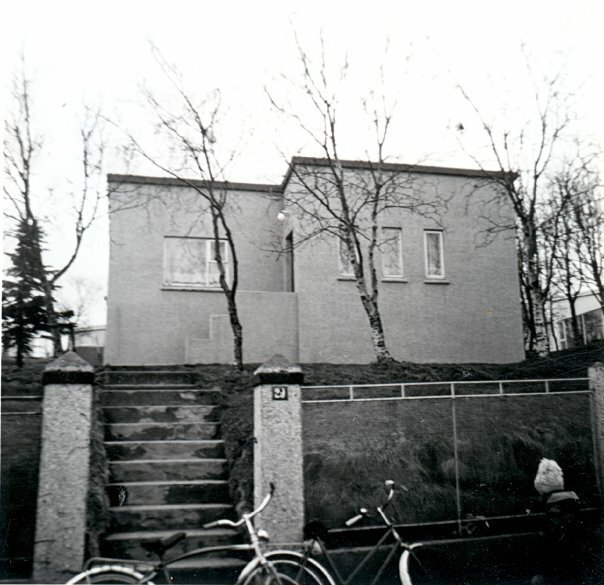 What first came to mind among other places was my grandparents house in Munkaþverárstræti 31, Akureyri, nicknamed Munk 31. 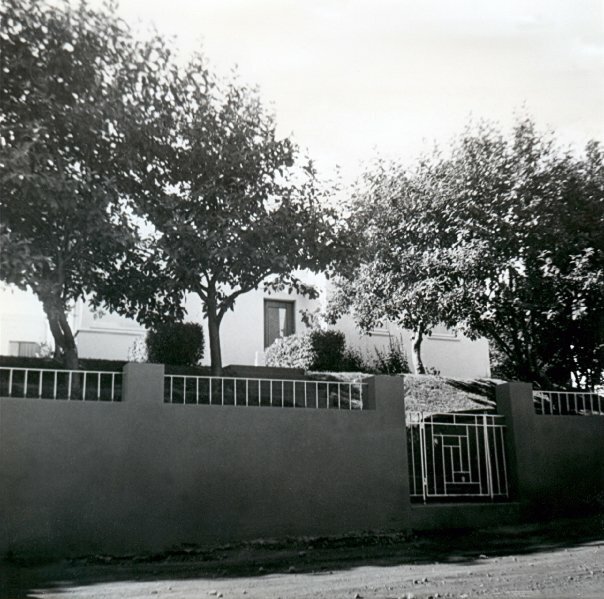 The neighbourhood was built up in the late 30´s and it is a collection of single family houses on a plot (see no. 31 and 29 in pictures below). The situation makes is rather unique, it is built on a hill, the rock is very close to the surface and part of the back garden is this rock surface. Our thoughts on these childhood places is a reflection on how or why we draw certain conclusions, and why we are drawn to certain things instead of others. This house had an important impact on me as a child and is something I think of often and perhaps had a part to play in why I chose to do what I do. I still remember it very vividly although I haven’t been there in years (the house no longer belongs to the family). The things that I remember are the generous hallway that lead from the entrance hall, which then lead to the dining room which was connected directly to the large living room, only separated by a difference in level, the dining room then lead you out to the garden. The kitchen was to the side of the dining also overlooking the garden. The sleeping was to the left off the hallway and a sort of parlour to the right where, if we were lucky, we would get to watch old movies that my grandfather had, Modern Times was a favourite as well as anything with Fred Astaire. The garden lead up to the rocky cliffs in the back, that created a sort of natural plateu shared by the other houses around. That’s where the kids would meet to play. In the garden the Ribes (gooseberry) bushes were abundant along with flowers that I cannot recall the names of except for the little violets by the wall that had been placed to shelter from the wind and created a warm “pot” in the summer. On the floor in the dining and hallway there was a parquet floor while the living room on the upper level had a multicoloured carpet, the kitchen had vinyl tiles in a grey-green colour with flowers (as I recall). There was a stair down to the basement where all the washing was done and a generous storage area was, I didn’t like to go down there so I don’t remember it very well, but I do remember the cat had all its things on the stairs so I was often there, but would not dare go any further. I think sharing these things helps us as designers to really understand each other, When I showed these pictures to Mark, he said he recognised something of the way I work in them. What exactly that is, is perhaps not tangible and perhaps doesn’t matter, but there are some places that become a part of your personality. Sorry for the lack of pictures, and thanks to my uncle Steingrímur Sigurðarsson for scanning in these old photographs and making them accessible. 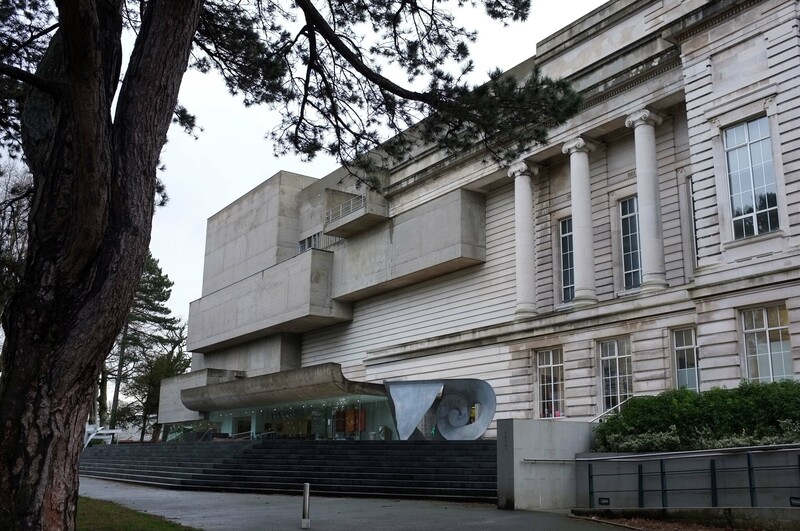 MS. One of my favourite places growing up was the Ulster Museum in Belfast. The building was completely different from anything I had seen or been to before and it was packed full of fascinating and gruesome artefacts. My parents often brought me and my sisters to the museum for a day out in Belfast. Like all of the great provincial museums, entrance is free of charge, which may explain my strong memories of the place! The museum sits within Belfast Botanic Gardens, and is a stone’s throw from the recently completed Lyric Theatre. (https://socialskillsarchive.wordpress.com/2013/01/06/more-on-the-lyric/). Its massive, ship-like exterior in exposed concrete belies the intricacy of the spiral of exhibition spaces within and will be forever imprinted in my memory. 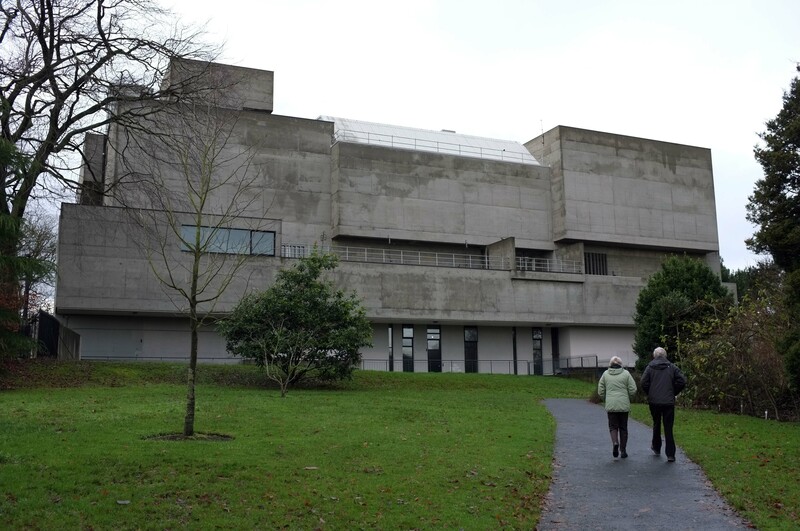 Francis Pym’s extension was completed in 1971, subsuming an earlier incomplete Neo-classical art gallery into a monumental and considered whole. The spiralling route through the building leads you between the classical exhibition spaces of the original building and the concrete and glass additions. The introduction of a black rubber floor throughout, weaves the disparate elements into a unified whole. Finally I have found a satisfactory explanation for my fondness of knobbly rubber flooring! In a further rubbery gesture, the facade of the original building is literally pulled into Pym’s new composition – the rustification (banding) of the stone neo-classical gallery are extended to meet the blocky form of Pym’s concrete extension. As a child, the interior was great fun. The spiral meandering through the exhibits heightened the sense of adventure, and the many balconies and views through to other spaces or to the gardens outside kept you fully occupied, even if you had long since lost interest in your current surroundings. Sadly, since I last visited, the museum has been refurbished by Hamilton Architects – in what can only be described as an act of wholesale vandalism. The former expressive, deep-canopied entrance has been fenced in with full height glazing to form a café. A central courtyard has been roofed over to form an ‘orientation atrium’ with ubiquitous kit built glass balustrades and feature lift core… I could not be more disappointed with the treatment of such a great building. Luckily, many of the upper gallery spaces have been untouched by Hamilton’s heavy hand, and the elevations remain mostly intact. With some luck, a future generation may restore the museum to its former glory.